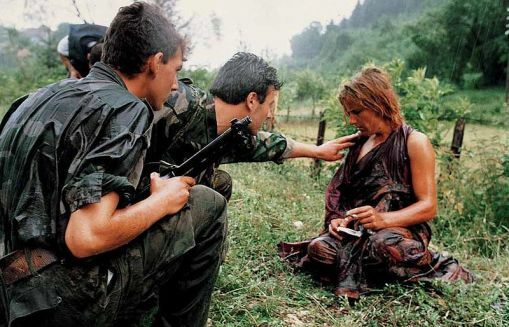 The NGO "Woman - Victim of War" (Žena - Žrtva Rata) has documented more than 25,000 rapes of women in Bosnia-Herzegovina, many of them in the region of eastern Bosnia where Srebrenica is located. Overwhelming majority of victims, or 99%, were Bosnian Muslim women. There are also 52 documented rapes of men. The president of the NGO, Bakira Hasecic, said that one raped woman from Brcko had witnessed more than 40 Bosniak girls aged from 13 to 18 being repeatedly raped by Serbian soldiers in that town. Hasecic called on all women and men who had been raped or sexually molested during the Bosnian war to contact the “Woman – Victim of War” association, adding that confidentiality is always fully guaranteed. If you were raped, it's not your fault - there is nothing to be ashamed of. Do not feel guilty. Come forward and tell us your story. The NGO "Woman - Victim of War" estimates that approximately 1,000 children were born to women who had been sexually abused during the war. Some adopted children were on the verge of suicide after their biological mothers denied any contact with them. One raped woman who kept her child, suffered a nervous breakdown and killed the baby after a few months. Raped women are invisible victims of the Bosnian war and they are not counted in the statistics of the indirect war victims. These statistics are compiled and published by the Research and Documentation Center [RDC] in Sarajevo. To drop them an E-mail and ask "Why" click here.